According to NASA, atmospheric rivers can be credited with the abundant rain- and snowfall that has drenched the state in recent weeks. 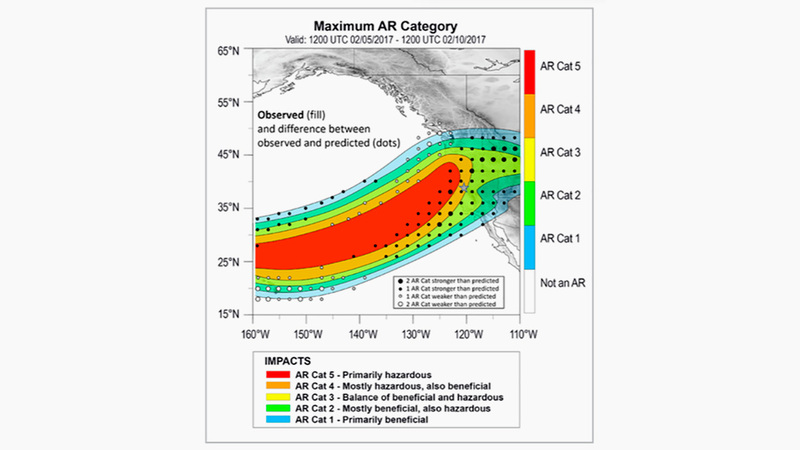 Atmospheric rivers are described as long, narrow regions in the atmosphere that carry columns of water vapor. These rivers are helping to pull large swaths of the state out of its extended drought. Earlier this month, a team of researchers led by Scripps Institution of Oceanography at the University of California San Diego created a scale to characterize the strength and impact of atmospheric rivers. The scale assigns five categories to these rivers using the amount of water vapor they carry and their duration in a given location as criteria. The intent of the scale is to describe a range of scenarios that can prove beneficial or hazardous based on the river’s strength. The scale, developed in collaboration with the National Weather Service and several other experts, ranks atmospheric rivers (AR) on a scale from 1 to 5, that indicate the following categories—weak, moderate, strong, extreme and exceptional. The AR scale is like the intensity measure used for hurricanes. According to some reports, the AR that produced Thursday’s storm was rated an AR 4. Despite the recent rash of intense storms and record levels of rain and snow, officials caution conservation efforts must continue because it will take time for the state’s snowpack to replenish groundwater reserves. Although this year’s series of storms produced much needed drought relief, they came at a cost to many. Last week, rescue teams were forced to fan out across the region and bring many inland area residents to safety. 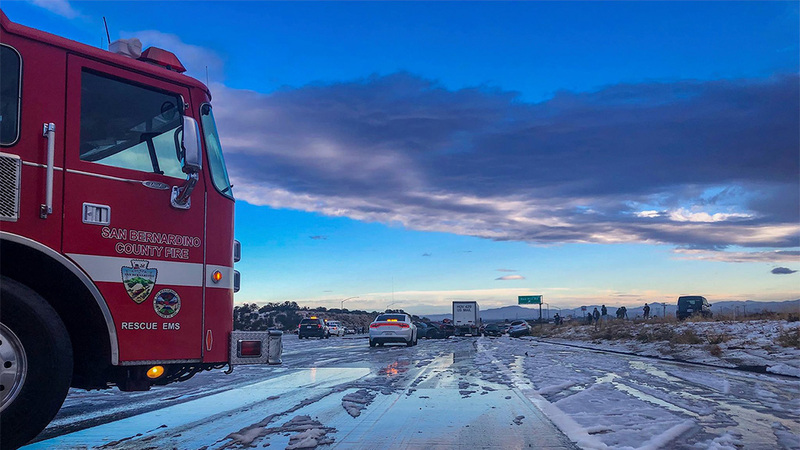 Three people were rescued near Lake Elsinore when they were stranded on the roof of their car. In other incidents, dozens of people and pets were rescued from rivers and storm channels during the powerful rain event. One woman who was pulled from a flood channel in Corona later died of cardiopulmonary arrest. In another incident a young homeless woman died after being swept away in a Riverside storm channel. Last week’s storms created conditions that resulted in calls for swift water rescues across Southern California, and on Thursday the inland region set a record for the highest number of swift water rescues in a single day.